A few things happened last week that led to a procession of pizzas coming out if our kitchen at lunch time today. 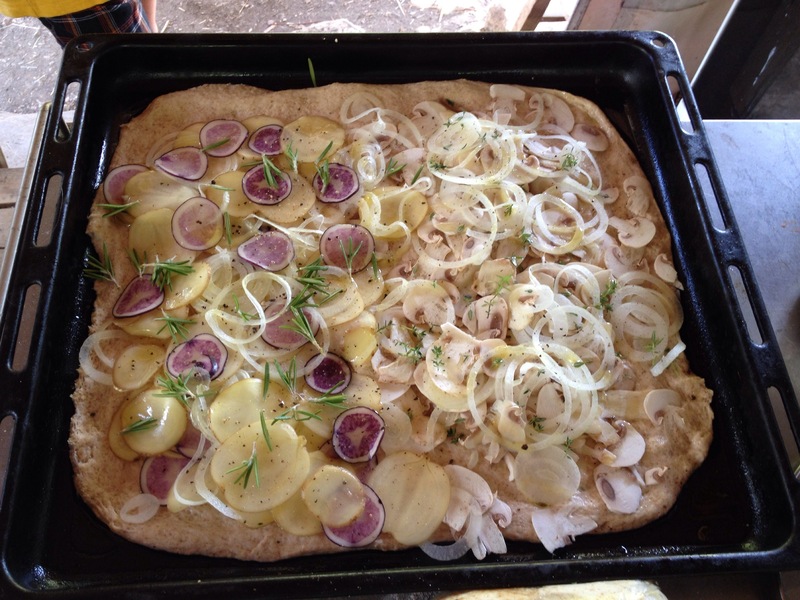 First, Celi at the Kitchen’s Garden proposed a Pizza Friday (which she has since posted , with photography tips to boot) and that got me thinking that I ought to make that potato pizza that my mom has been wanting. 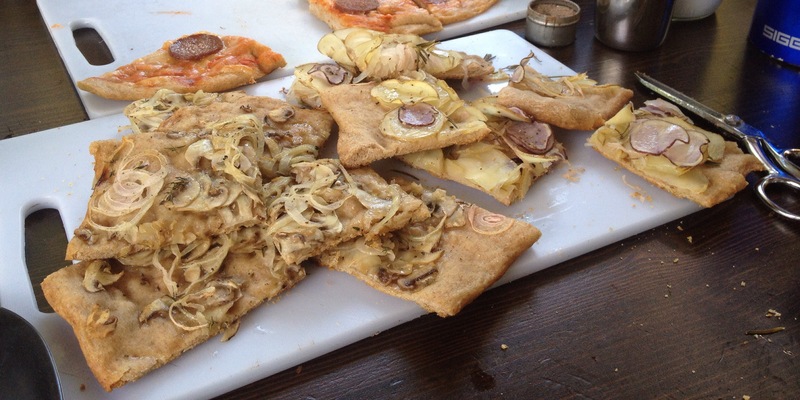 Then I read another post, this time over at Rachel Eats, about Pizza Bianca, with a recipe that I was instantly dying to try. Which is how I ended up pulling pizza after pizza out of the oven today. 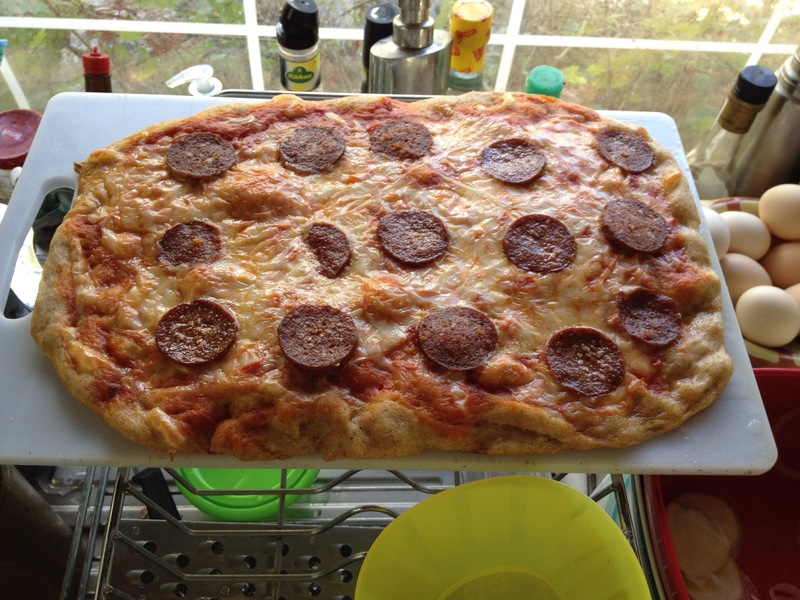 We started with the Pizza Bianca because I was curious to see how the dough, which had risen straight out if its bowl in the fridge, would bake. Then I had to make the requisite pizza with sucuk for Baki. But in the end we ate a little too much pizza and we all dropped into pizza comas. One good thing about too many pizzas, though, is pizza for breakfast! Raw potatoes – I slice them with my deadly mandoline. It’s just then and onions and olive oil and rosemary. I loved that dough too. And when it was resting in between being folded, it was like a living thing, all springy and energetic. Yay for Pizza Friday! They all look amazing and pizza for breakfast is always a bonus! I’m going to have mine with an egg on top! It was quite a sight! 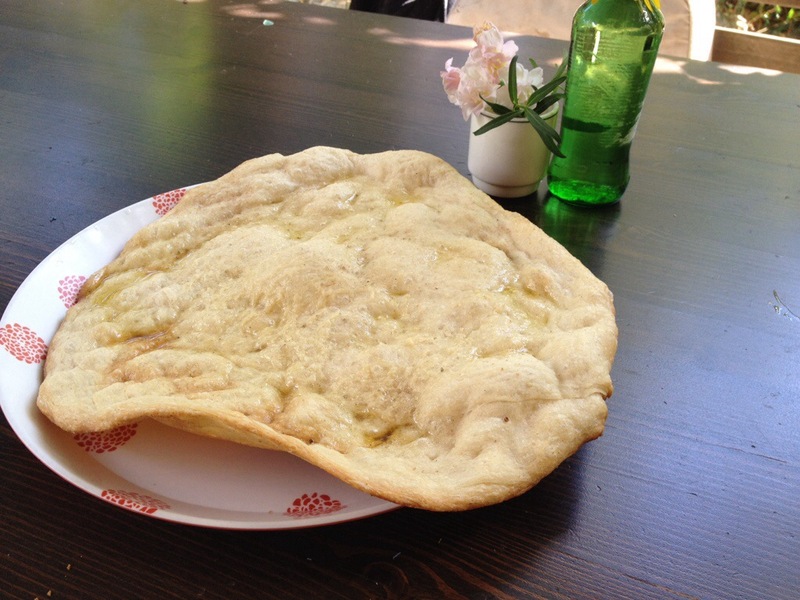 But it really is the liveliest dough – it’s a real pleasure to have met it! Yum…there certainly was a lot of good eating happening in your home. They all look terrific. Just love your words “pizza coma” – I know that feeling !